As educators, we often feel isolated in our classrooms. Although we constantly learn from each unique group of students, it can be challenging to access feedback from teachers outside of the classroom walls. This is particularly the case if you are the only teacher in your school instructing a particular subject, or if you’re the first teacher to try out a new technology or strategy. The good news is, there’s a professional learning network of other educators right at your fingertips. Here at TenMarks and Amazon Education, we’re not only dedicated to creating products that help teachers guide every student towards success, but we’re also focused on building a community of educators. We believe that if we help to bring teachers together, they’ll be able to share innovative ways to reach 21st-century learners. This collaboration brings growth and ultimately improves teaching practices that help set up all students for success. 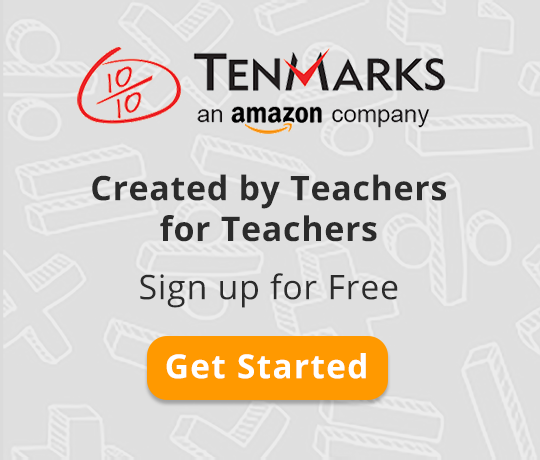 TenMarks Teachers is a Facebook community of over 1,000 teachers that is open to all who are using TenMarks Math or who are interested in sharing and learning new resources. In this community, teachers post articles, participate in discussions, and have special access to free resources and classroom giveaways. It’s easy to join. Simply log in to your Facebook account and request to join. Every other Thursday from 4:30 p.m. to 5:00 p.m. Pacific Time (PT), you can join us for #MathMindset, a Twitter chat focused on math and growth-mindset strategies. To join, simply log in to Twitter at 4:30 p.m. PT on Thursday and search for the hash tag #MathMindset. Each chat asks five questions for participants to discuss and share resources. For more information on how Twitter chats work, take a look at this article from Buffer. The TenMarks Blog (you’re on it right now) is a space for teachers to learn and share best classroom practices. If you want to dive deeper about a teaching strategy that's longer than a 140-character tweet, our blog is the place to visit! If you’re interested in blogging, let us know through this form. Questions? Don’t hesitate to reach out to us through email: support@tenmarks.com, Twitter, or Facebook.